So the other day, I did the unthinkable. 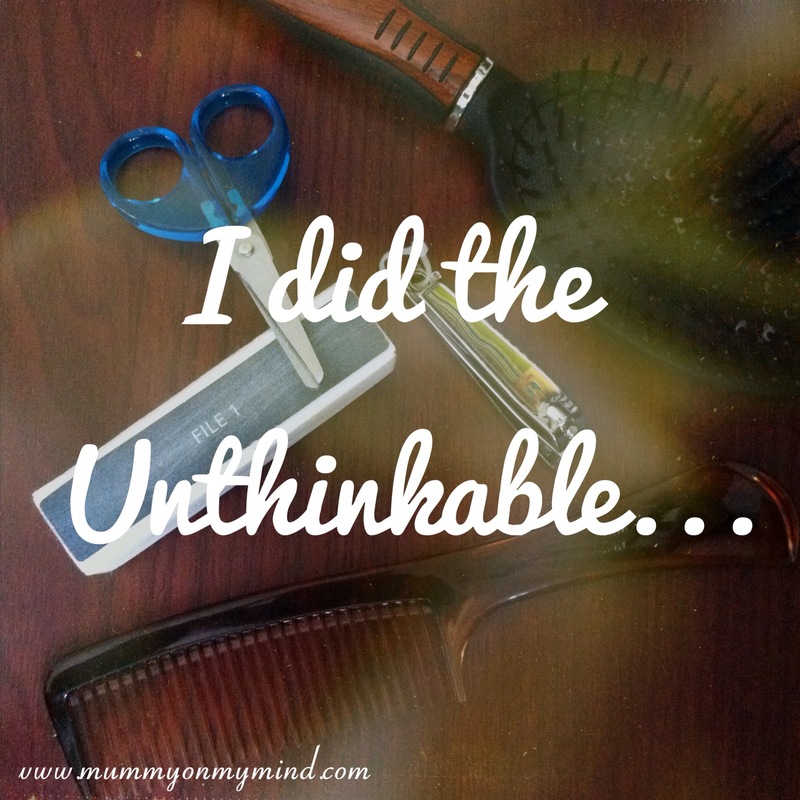 I took a break from Motherhood. It was only for about couple of hours but it completely rejuvenated me. Last Saturday me and my sister decided it was high time we went to the Salon for a well needed pampering session. I justified my trip by looking down at my shabby dark brown locks and by calculating that the last time I went was about eight months ago! Before I left Daddy in charge, I told him to call me if anything happened. I followed that with “…Actually, please don’t call me! !” I could ask for a couple of baby free hours, couldn’t I? At the Salon, I first had a lovely Moroccan Bath, followed by a cream bath for my hair, a hair trim, blow dry and of course the mandatory pedicure. I felt like a new woman. Woman. Ah yes, that’s what I had been before I became a Mother. As I was waiting for my sister’s treatment to end, I opened my purse to have a peek at my phone. No Missed Calls. Phew…. But I hope everything was OK. I wonder if Baby Z had woken up from his nap yet? Did Hubby give him the water like I asked him to? I absolutely LOVED being pampered and feeling all brand new with a spring in my perfectly pedicured step. However, as soon as I got home I absolutely LOVED seeing Baby Z’s broad smile a lot more!! When was the last time you had a mini pampering session? Don’t leave it as long as I did! Yeah it’s absolutely nerve racking even though I know my husband is completely capable of looking after Baby Z! Yup we sure do!! It really was such good fun to do once in a while to charge ourselves back up! Haha I’m glad this post has pushed you to make your salon appointment! It really is lovely to feel like yourself again for a while! Aw I’m glad this post spurred you on for a little TLC! Being a mum is hard work, and we definitely need to be treated once in a while! Thank you! Yeah you’re right, we always worry! I hope you can take some time out to pamper yourself too some time soon! I’m sure you deserve a little time out! ?